Physiques. The first name to come to the mind of the majority when talking about pioneers in this category would be the "Superstar" Billy Graham. After all everyone before him was in great condition, but they weren't all cut up, right? Wrong. Yes, an emphasis was put on conditioning in professional wrestling, and yes, that meant for the most part wrestlers were not the chiseled specimens that we saw following the whole steroid overload. But, that does not mean that no-one was of competitive body building standards. 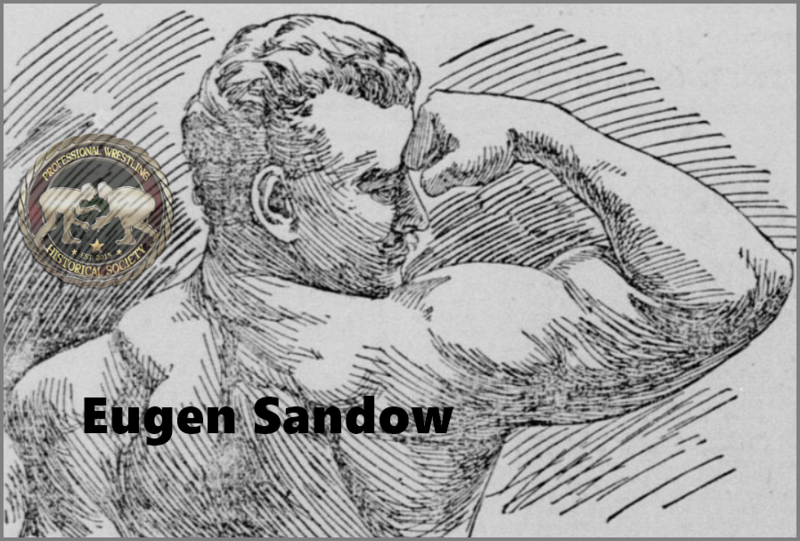 Through-out the last quarter of the 19th century there was a man by the name of Eugen Sandow. Many people will know him as the "Godfather of Body Building." His methods of crafting his body into the perfect form were nothing short of meticulous. Without a doubt he was one of the most famous entertainers of his time, not just in one area either, across the whole western world. Unsurprisingly, during a time when body building and strength exhibitions were extremely dramatized and were more about the novelty of being able to pick up two people in baskets on a pole shaped like a giant dumbbell than the actual accomplishment of picking up a great weight, a lot of performers from this realm wandered into professional wrestling. Sandow himself toiled on the mats from time-to-time. Against both humans and animals. From that point on there would always be a few wrestlers with statuesque physiques knocking about. Whether it was Georg Lurich, Georg Hackenschmidt, Gustav Fristensky, Jim Londos, or one of the others. After Sandow the stream of washboard abs and Greek God good looks just kept flowing. Those who were willing to put in the work were normally quick to find money coming their way when they put the time and the effort in.